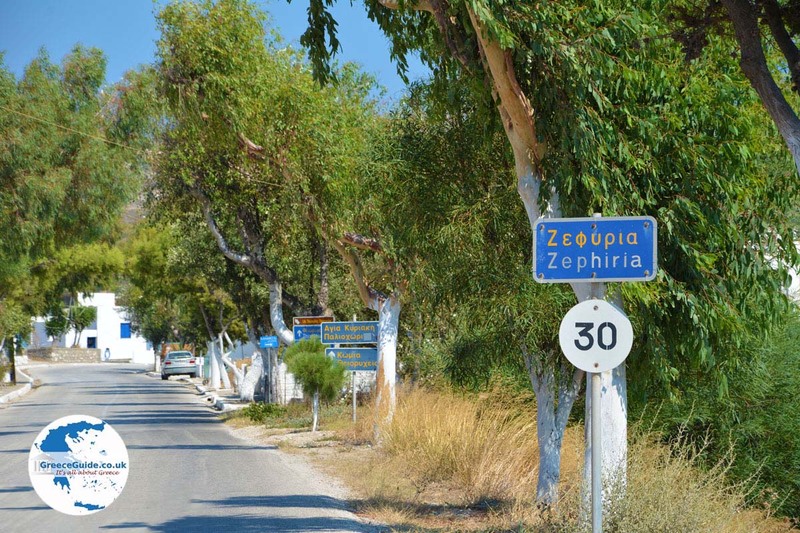 Zefyria. 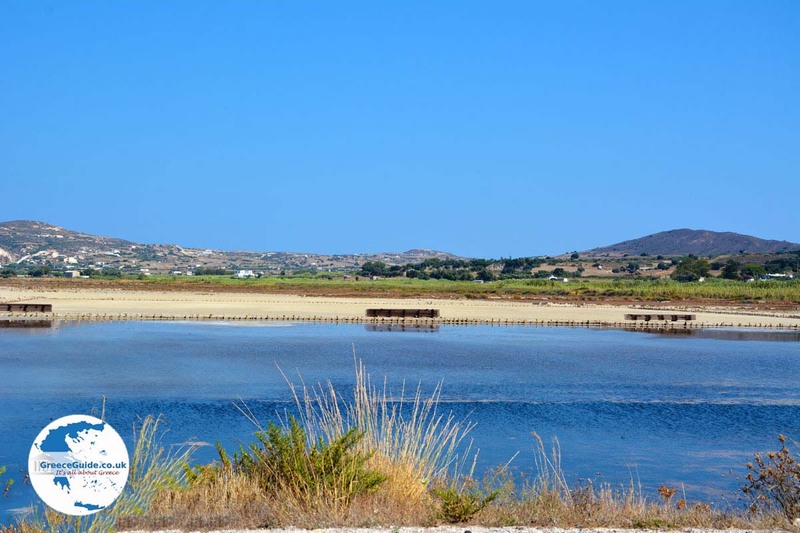 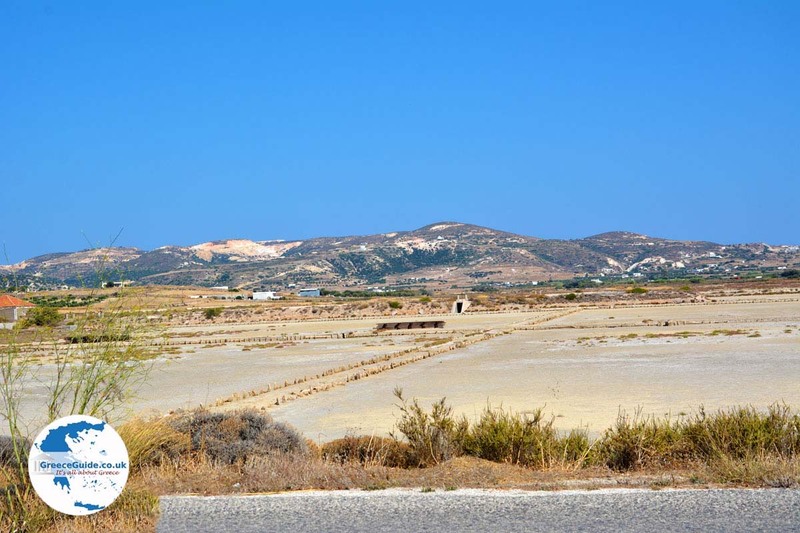 Zefyria is a farming hamlet that lies 6 kilometers (less than 4 mi) southeast of Adamas on Milos island. 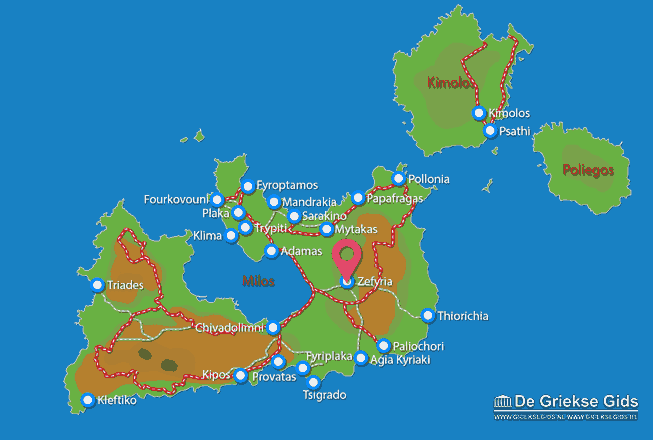 Zefyria was the medieval capital of Milos (14th to 18th century). 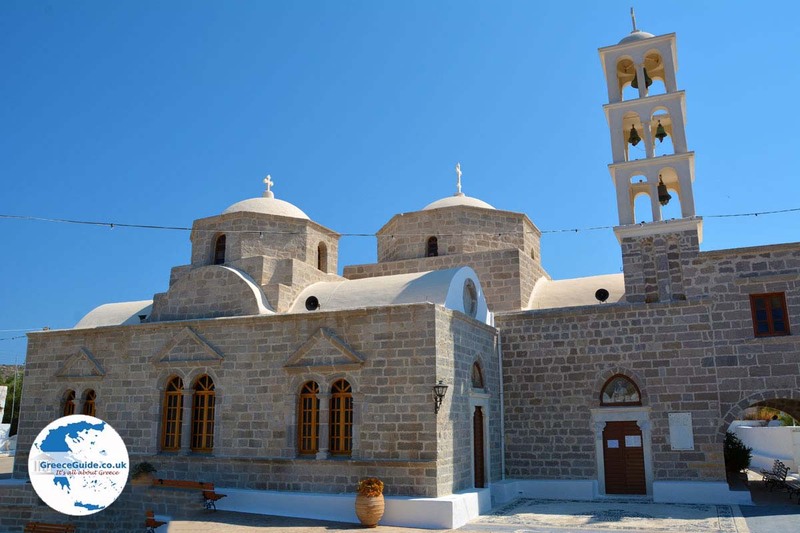 The main attraction here is the church of Panagia Portiani. 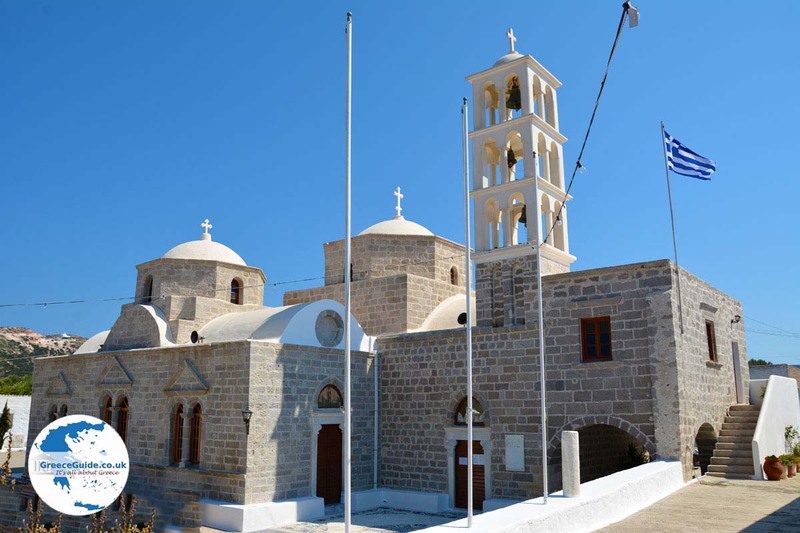 After a major earthquake in the second half of the 18th century, the inhabitants moved en masse to Adamas and the villages surrounding Adamas. 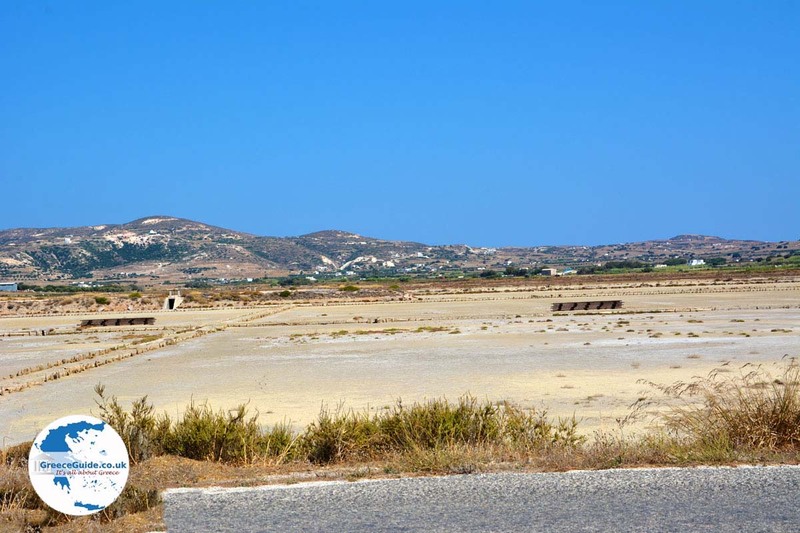 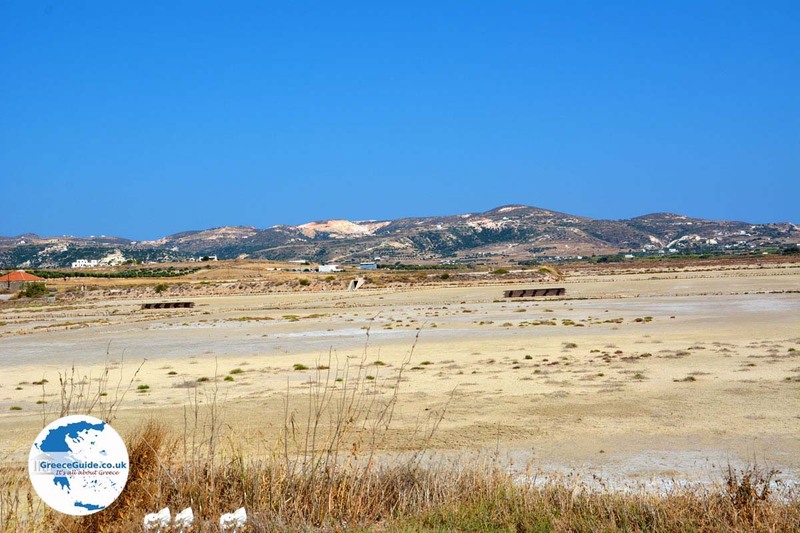 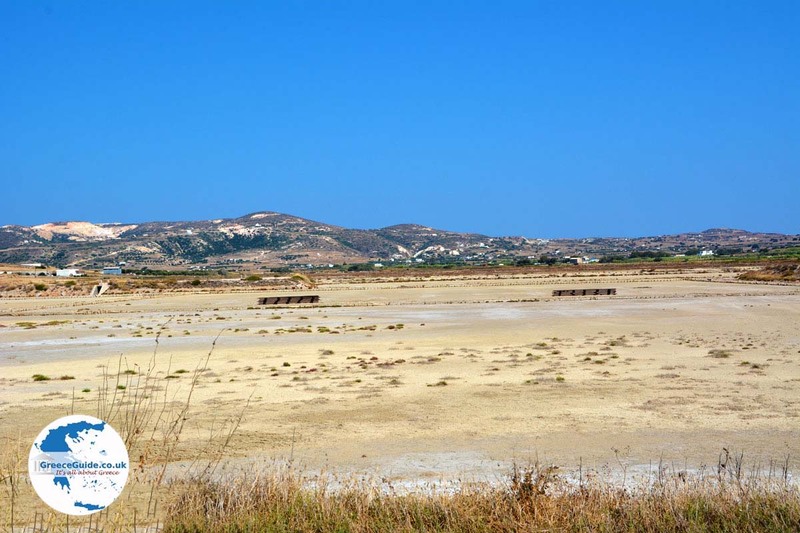 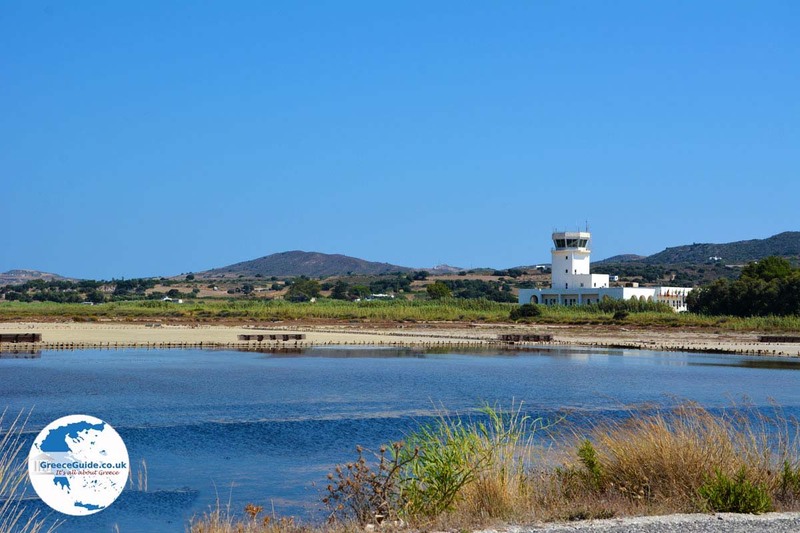 Zefyria is located near the airport of Milos. 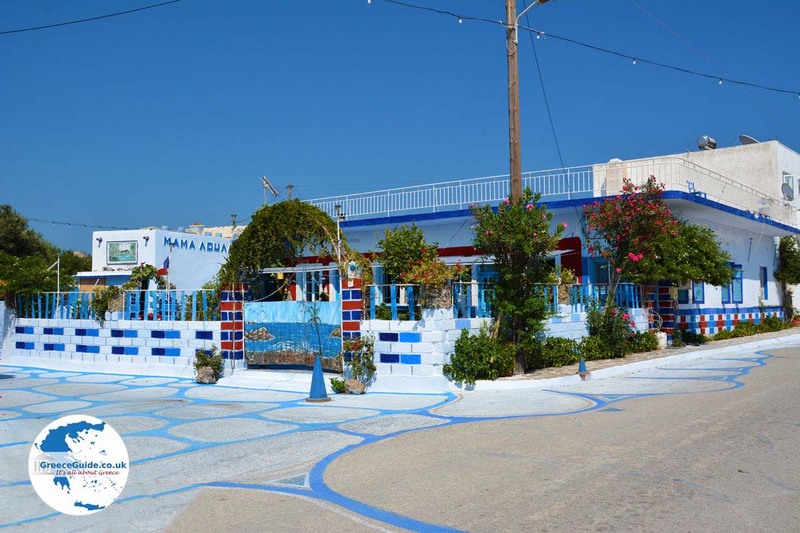 The capital of Milos is now Plaka.